To all the pragmatists out there: you don't have to take spinning classes or own a high performance ergometer to get to do your specific cycling training in spite of cold, snow and darkness. 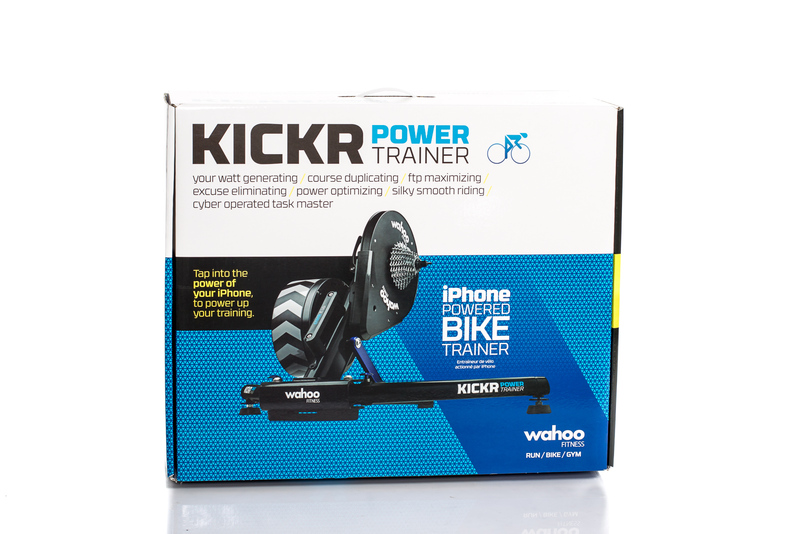 The KICKR Power Trainer by Wahoo Fitness is a serious indoor alternative for winter training using your own road bike or MTB. 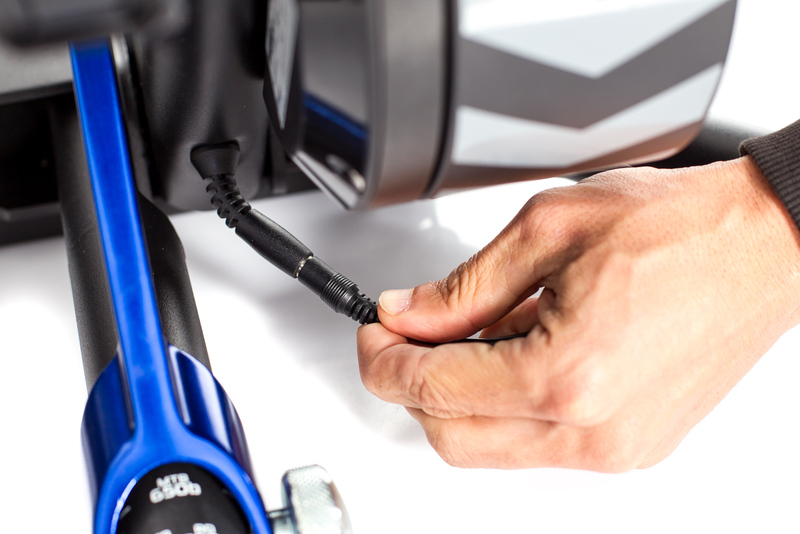 Besides a totally acceptable noise level and extremely slight vibrations (ensuring your neighbours' gratitude) the bike trainer connects firmly with the bike's dropouts and features an integrated resistance control via iPhone, iPad, Android or PC. Long training rides, high resistance, riding at maximum capacity and out-of-saddle sprints - all that (and more) is possible and feels very close to reality. 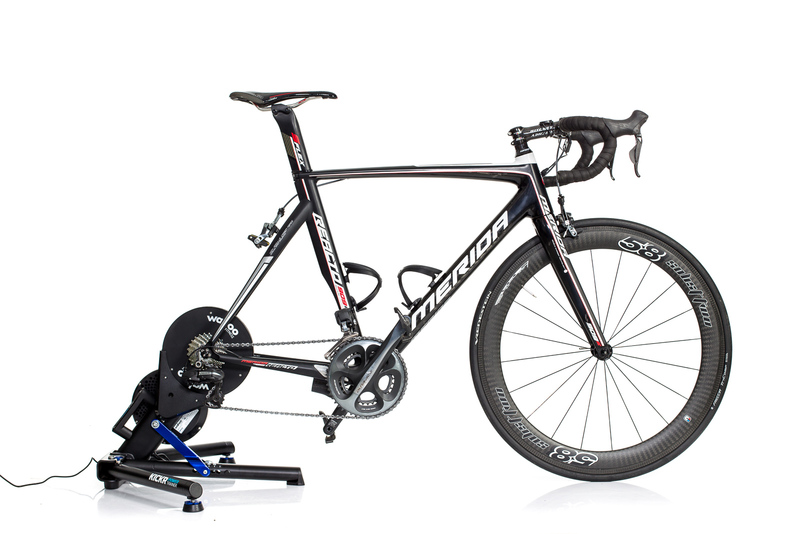 Another additional advantage is that you'll find yourself in the correct sitting position on your training bike; torque efficiency and pedal smoothness can be improved, and you can train in your own home, regardless of weather conditions, in steady ambient conditions. If you don't feel at capacity in spite of sticking to your personal interval schedule, you can always spice up your indoor training with countless interactive training programs to ensure not only effectivity but also add some variety. 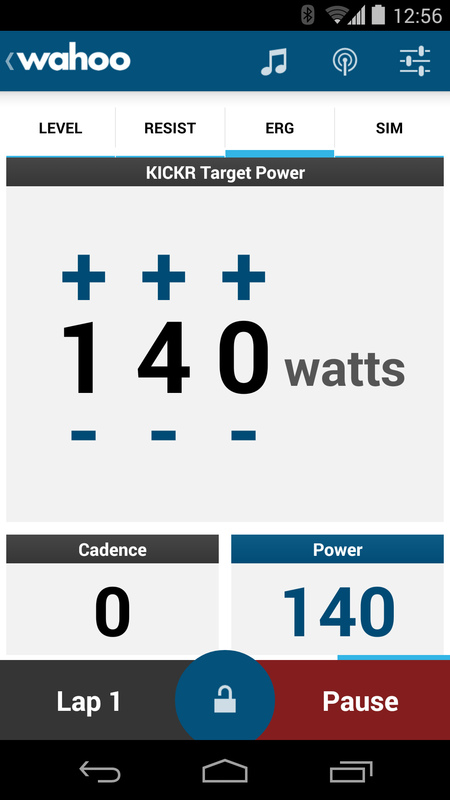 Contrary to the manufacturer's promises, it's advisable to use your own power meter, lest there's the possibility that you might not your training with the initially scheduled intensity. Unpack, unfold, insert, plug in.. almost done. 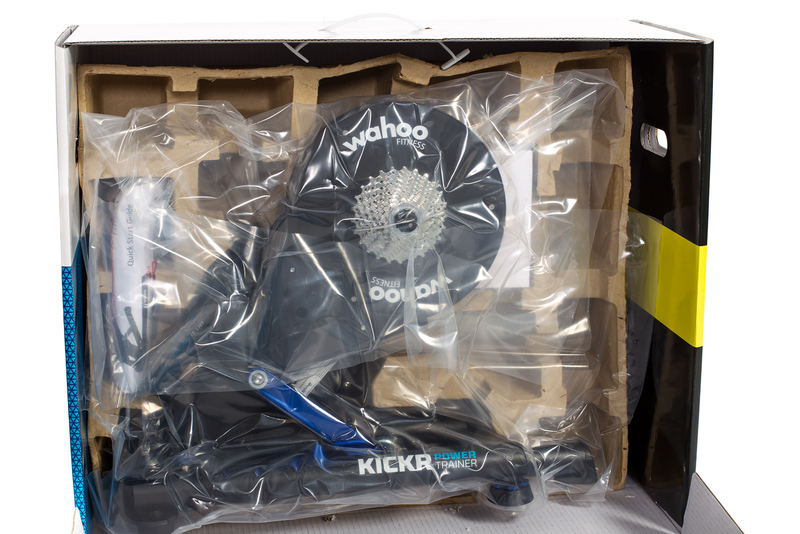 Mechanically, this bike trainer is perfectly ready to use after being deboxed. 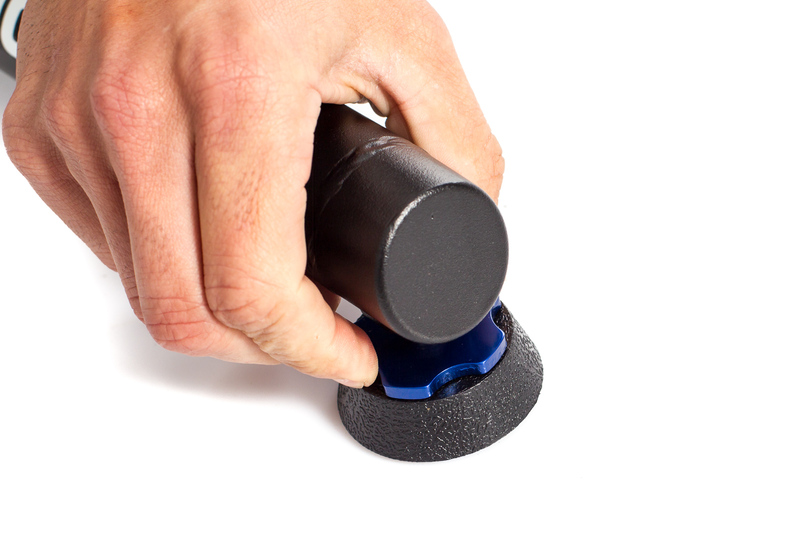 The KICKR a piece of high quality workmanship. 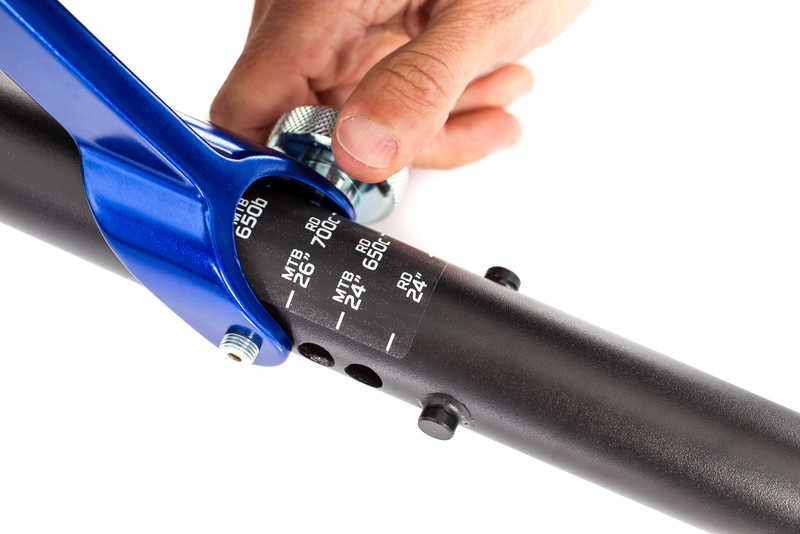 Its legs can be adjusted in height to give a steady, level balance regardless of uneven ground, and the bike's rear dropouts sit directly on the trainer. 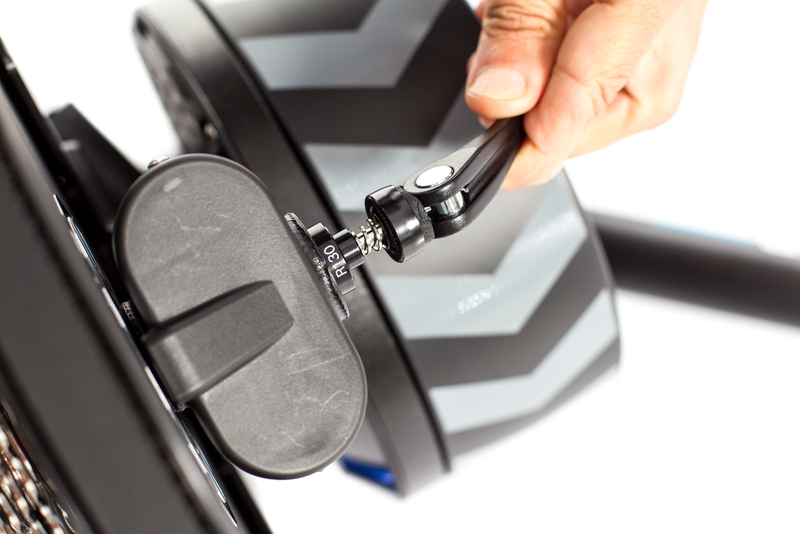 Flipping the integrated hub width adapter enables the trainer to fit 130 mm and 135 mm chainstays. 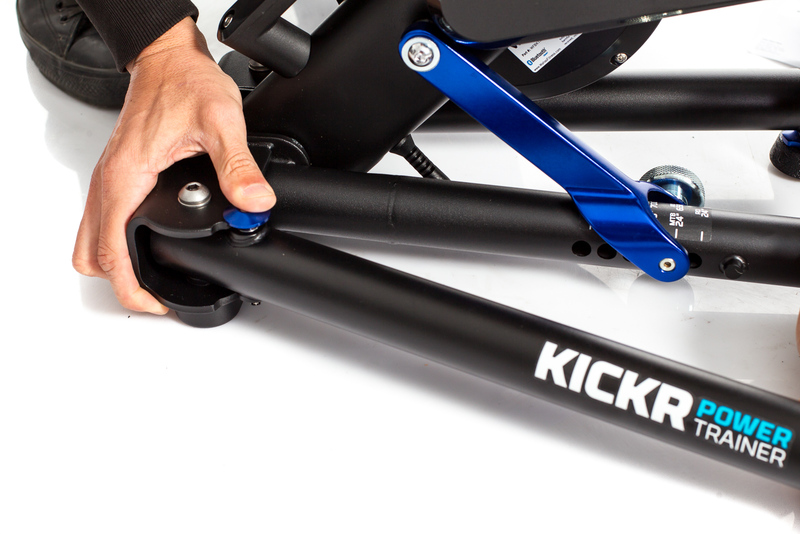 Thanks to the simple adjustment of the ride height, the KICKR is compatible with all common wheel sizes. Although the KICKR basically works with a 220V power supply, there is said to be a cable that connects with a 12 V cigarette lighter. 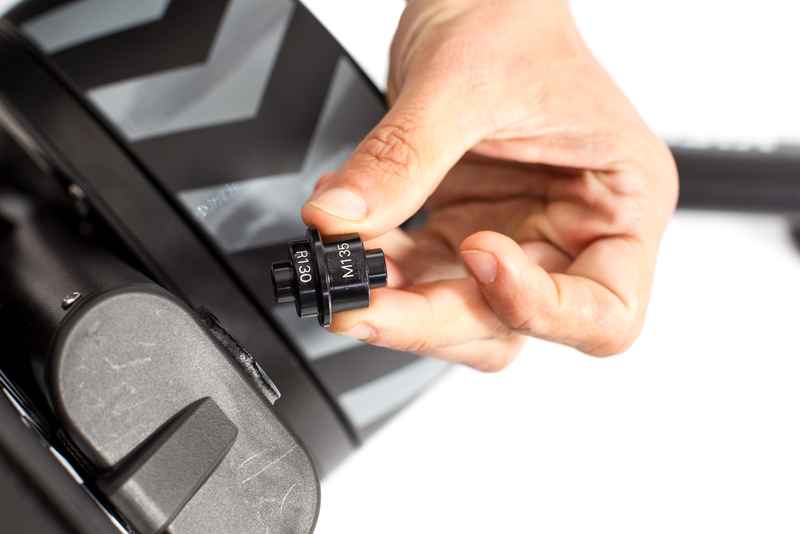 Whether or not you want to carry around a 20.5 kg weighing bike trainer is up to you. 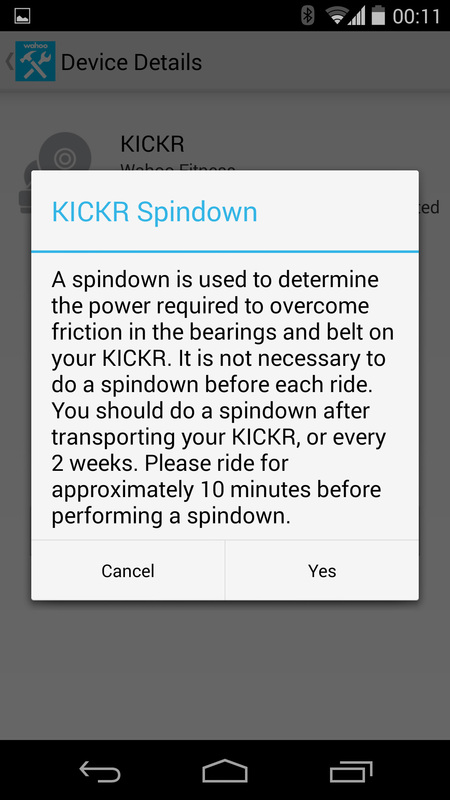 Before getting started, make sure your KICKR's firmware is up to date and do an initial spindown (zero calibration by user). 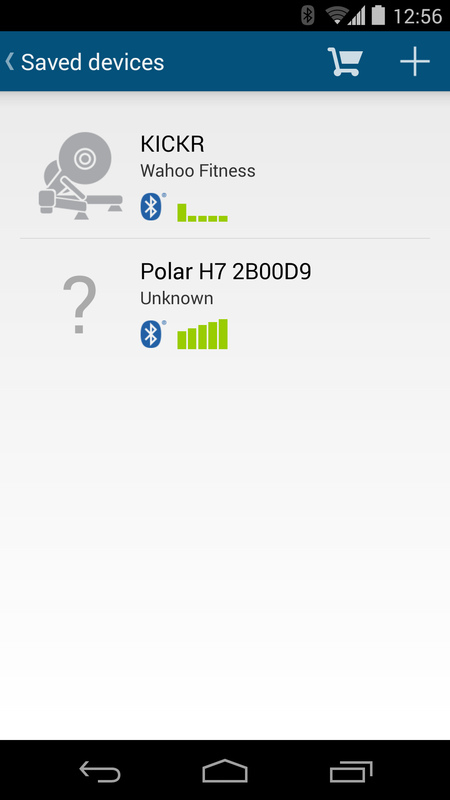 This is best done using an iPhone, iPad or Android phone and the free Wahoo Utility App which can be downloaded via iTunes or Google Play Store. 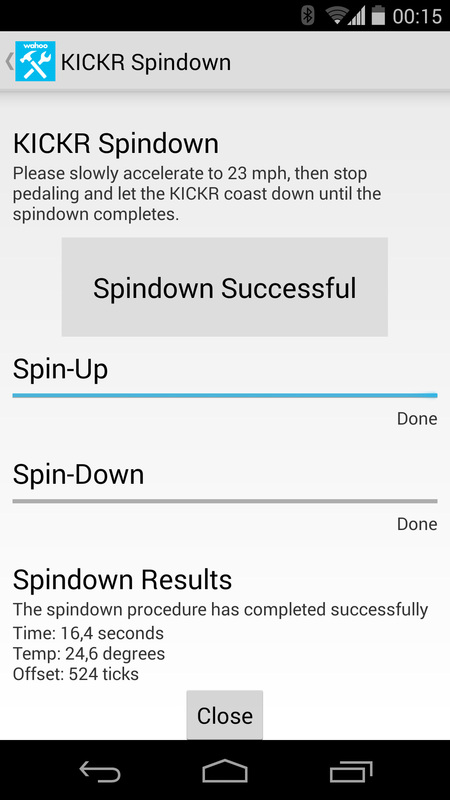 Now all that needs to be done is to connect the KICKR with the app and perform the self-explanatory steps "update" and "init spindown". All those of you who scorn technology, rest assured: all of this is even simpler as it sounds. 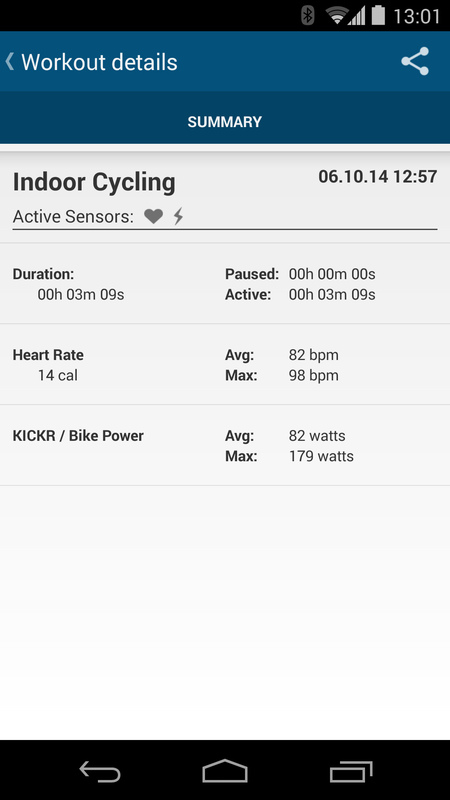 Since the KICKR can only be controlled via Bluetooth or ANT+, the choice of programmes - although the power trainer is open for third-party software - is a tad limited. 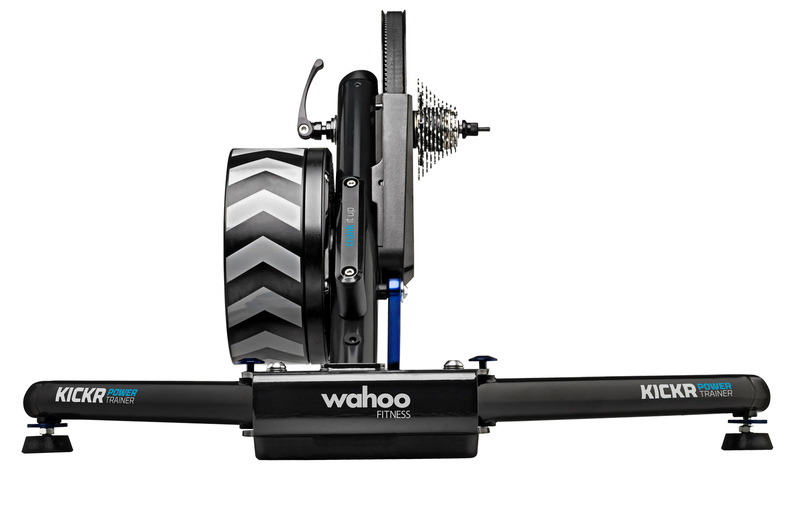 What works best is the free Wahoo Fitness App - created for cyclists and runners and compatible with most iPhones, iPads and Android devices. 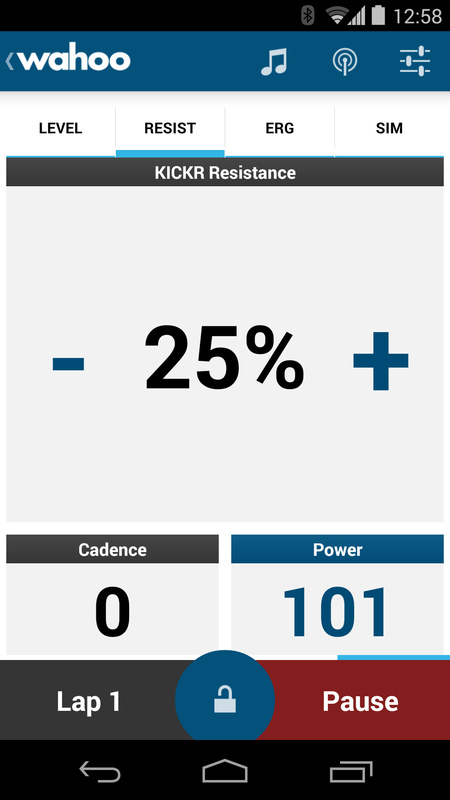 For the main part, this app enables you to adjust resistances (in watts, resistance levels or a simulated percentage); it's not possible however to run automated training programmes, i.e. 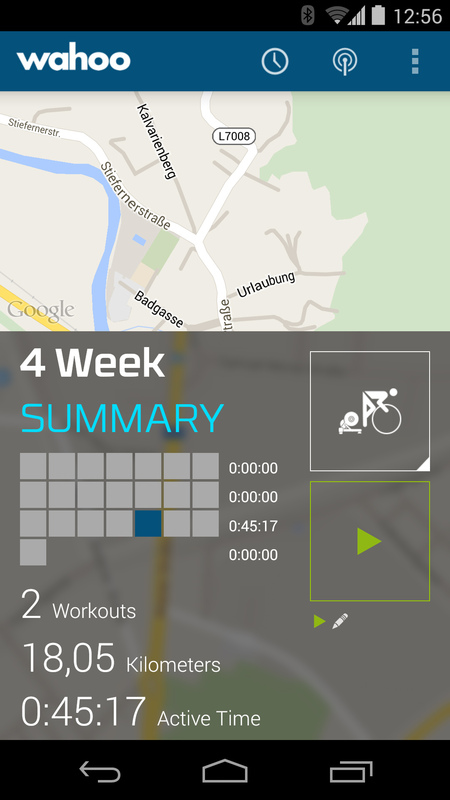 to drive a GPX route or perform an interval training. Furthermore it's not a native iPad app, which means that while the app is optimized to function on phones, it will only run in scaled mode and and vertical format on the iPad. 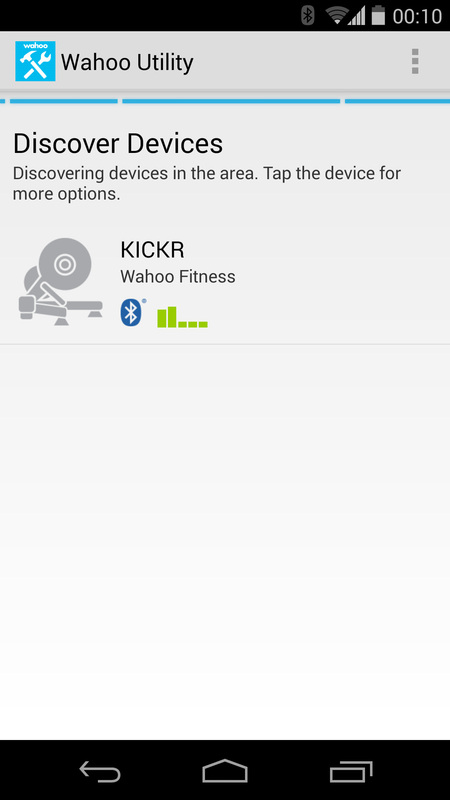 all fitness sensors labelled Wahoo: BlueHR, BlueSC, RFLKT, KICKR, TICKR, TICKR Run and many more! 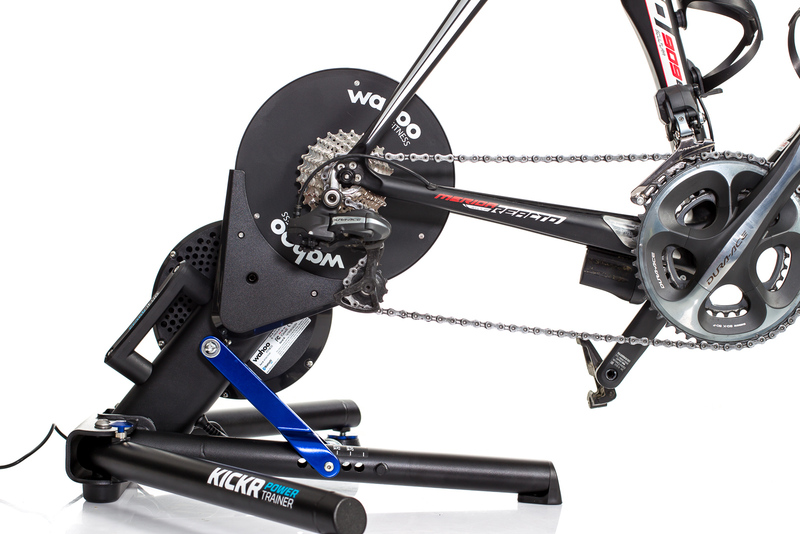 Equipped with a built-in power meter, the KICKR should be eminently suitable for professional watt training. 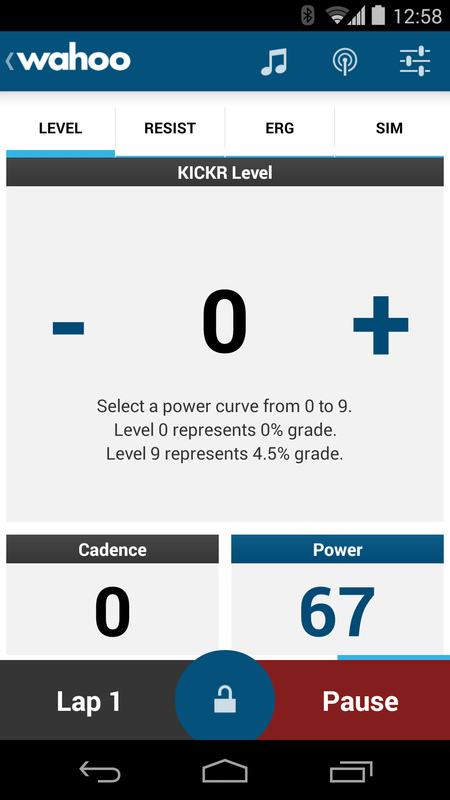 However, if your training is very specific and power based, you might be better off acquiring a "real" power meter. That is because watt controlled bicycle trainers are usually fairly inaccurate and are furthermore subject to a considerably high temperature drift which increasingly falsifies watt data as the training progresses - a total difference of +/- 10 to 20 watt is not uncommon. 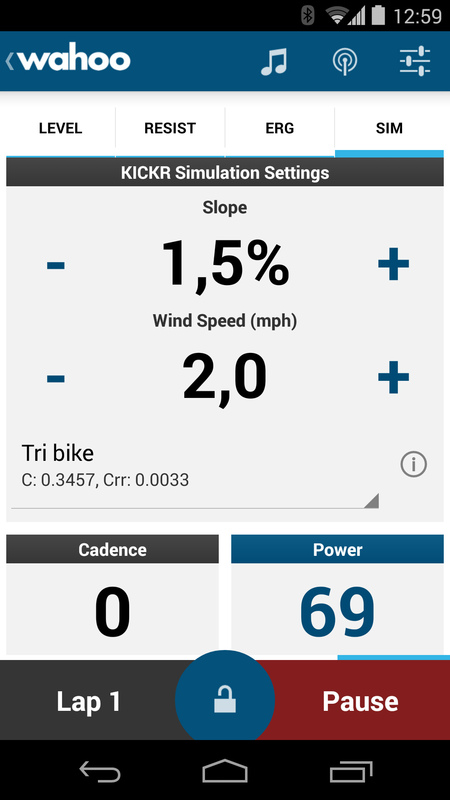 To check the KICKR's measuring accuracy, I brought both the KICKR and my SRM crankset (Pm7 Cannondale) to room temperature and warmed up both devices for 15 minutes by riding. 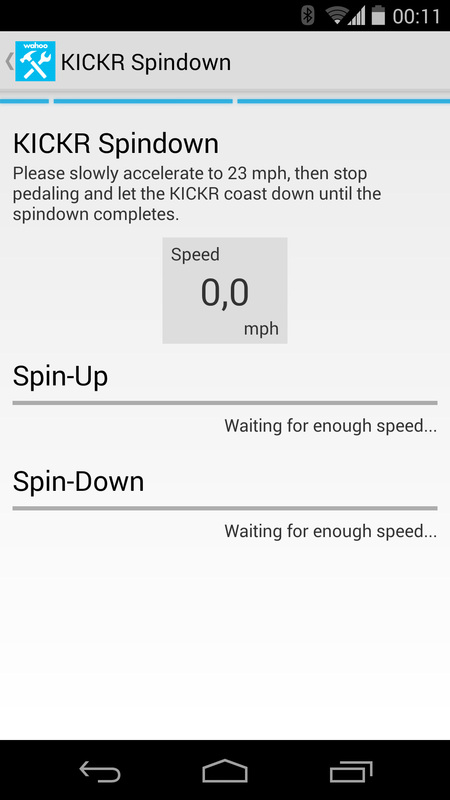 Afterwards I zeroed the KICKR via its built-in spindown feature (Wahoo Fitness App) and zeroed the SRM. 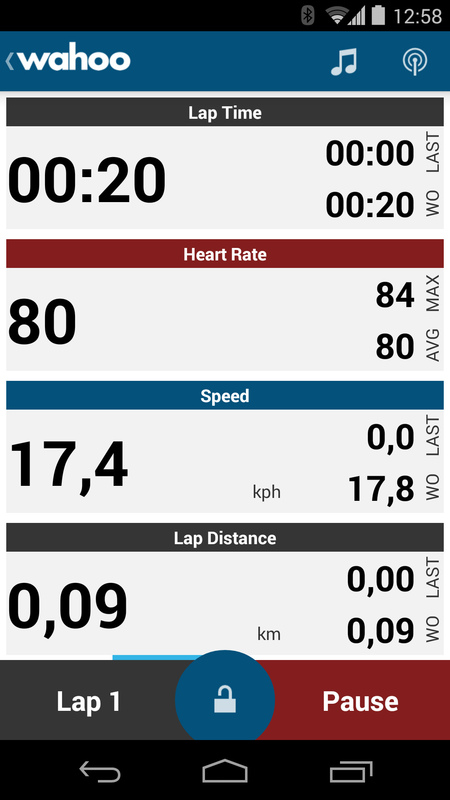 I continued doing two intervals from 200 to 350 watt, with an interim zeroing of both devices. 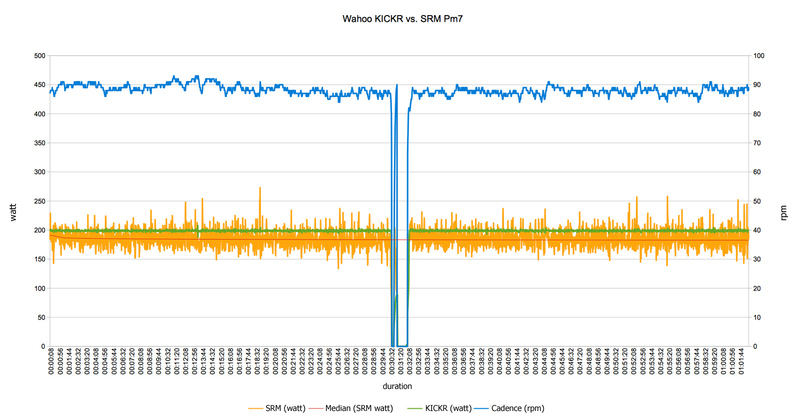 Result: After zeroing (spindown), the KICKR's built-in power meter displayed a relatively high but very stable variation (+15 watt) compared to the SRM power meter, which had previously undergone a test with my Cyclus2 and passed without difficulty. 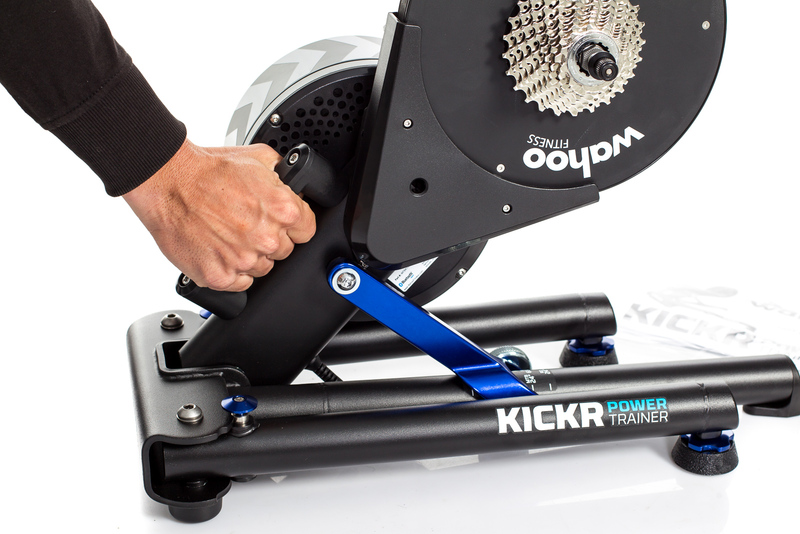 In other words: the KICKR has a steady offset of an average +15 watt compared to the Cyclus2 pro ergometer. 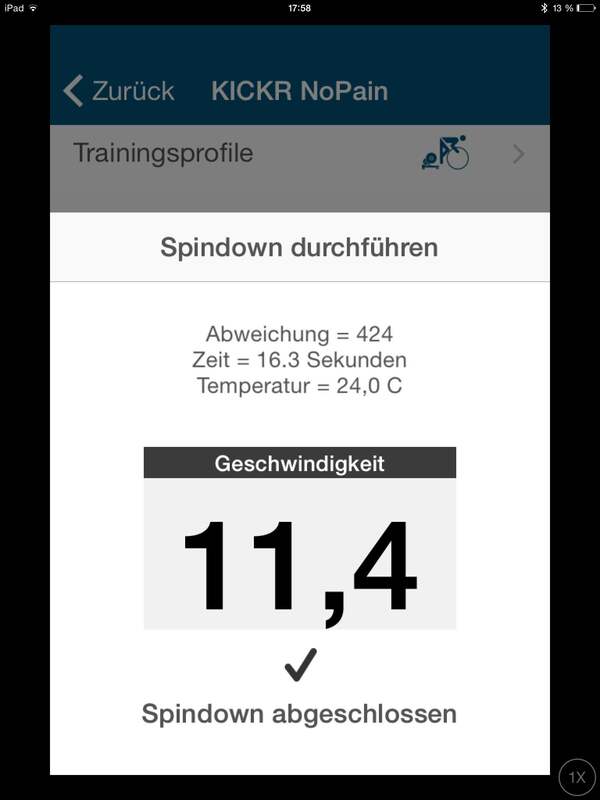 To analyze and document a trainer's temperature drift via a power meter is an ambivalent task to undertake. 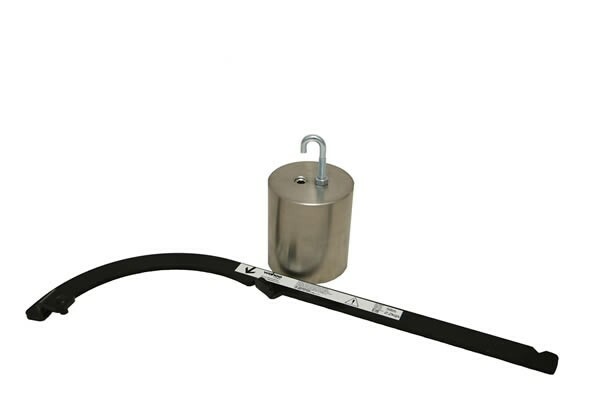 Sensors which determine the provided power by means of strain gauges are generally subject to similar temperature drift issues (partly 1-4 watt per changed degree Celsius). 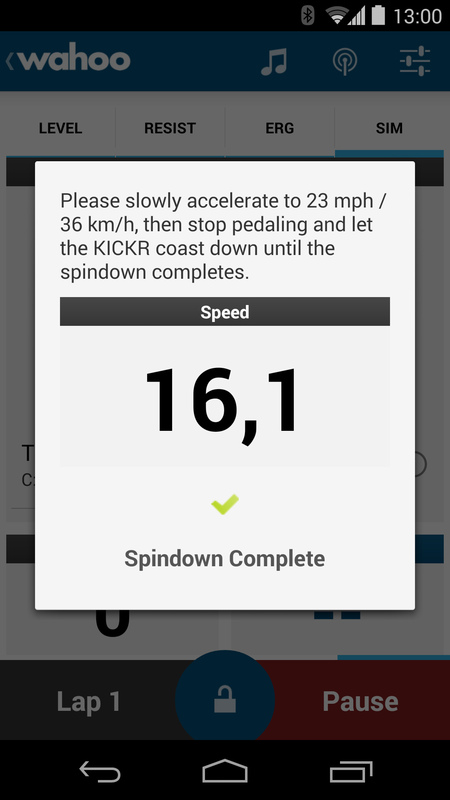 This is why I performed this experiment both with my SRM power meter, which is considered to be very resistent to drifts, and the newest Power2Max Type S including built-in temperature compensation. During the past season I have put the P2M to the test on the Cyclus2 quite often and can therefore claim with complete justification that thanks to its software algorithm and individually determined temperature characteristics it is very resistent to drifts as well. 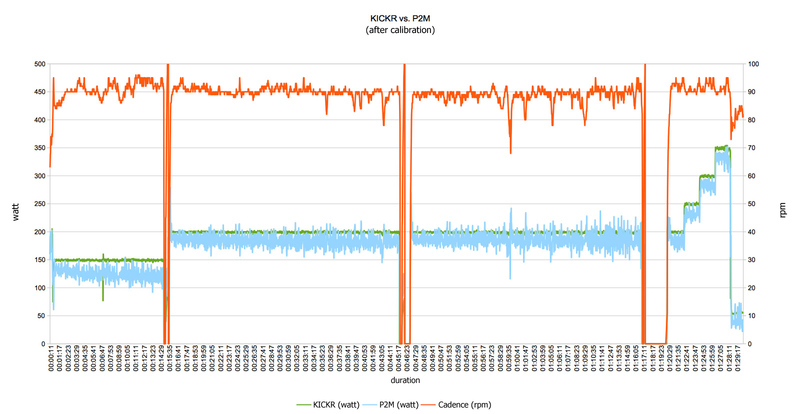 Once again I brought both KICKR and SRM (Reference) to room temperature, determined the KICKR's device temperature (24.0° C) and warmed up both machines for 15 minutes. 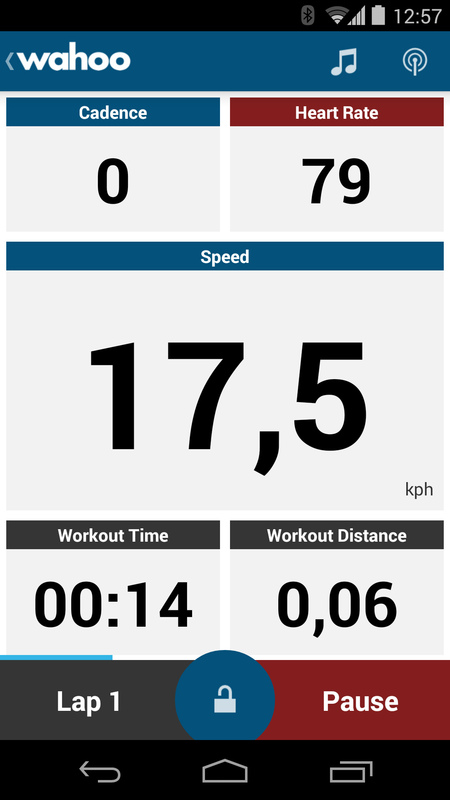 Following a renewed spindown (26,6° C) and auto-zeroing on the SRM, I rode 200 watts at a regular cadence for 30 minutes. Result: during this interval there occured a similar average drift to the previous test. 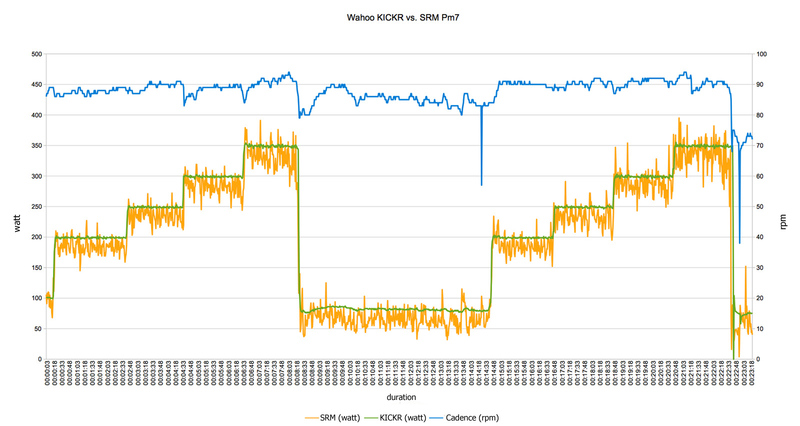 However the red trend line shows that the watt data measured by SRM decreased a little as time went by and temperatures got higher (the KICKR had 33.2° C in the end). Comparing the first three minutes to the last three, the temperature drift amounts to approximately 4 watt (2.2%). I immediately did a second 30 minute interval, during which the KICKR heated up for only 1.6° C to a total 34.8° C - the drift was accordingly lower (2 watt difference between the first three and the last three minutes are equivalent to 1.1% in this case). 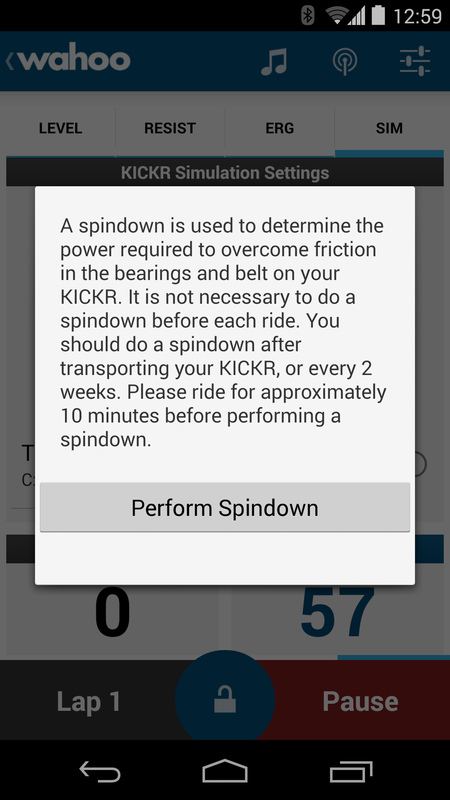 Interpretation: if you want to train following KICKR watt data, you should not forgo the spindown after a 15 minute warm up. 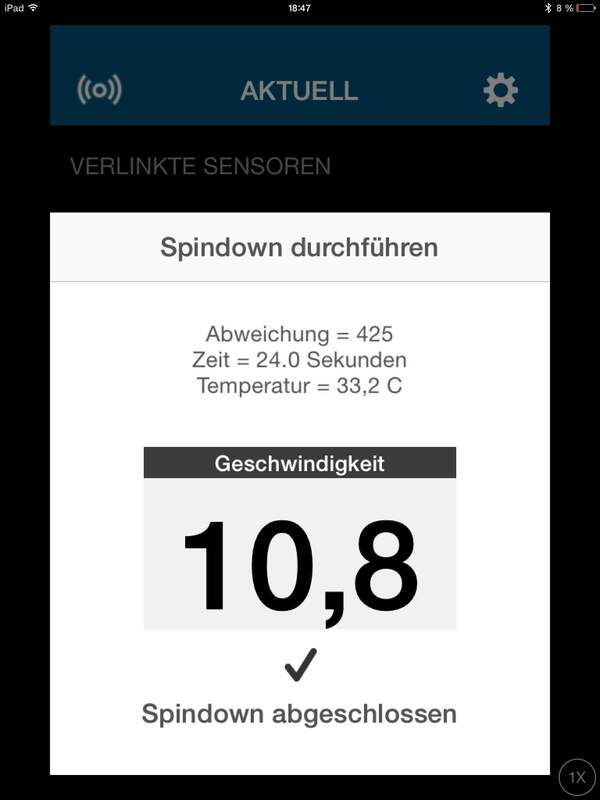 To overcome further temperatur drifts, a second spindown after a further 30 minutes is recommended. 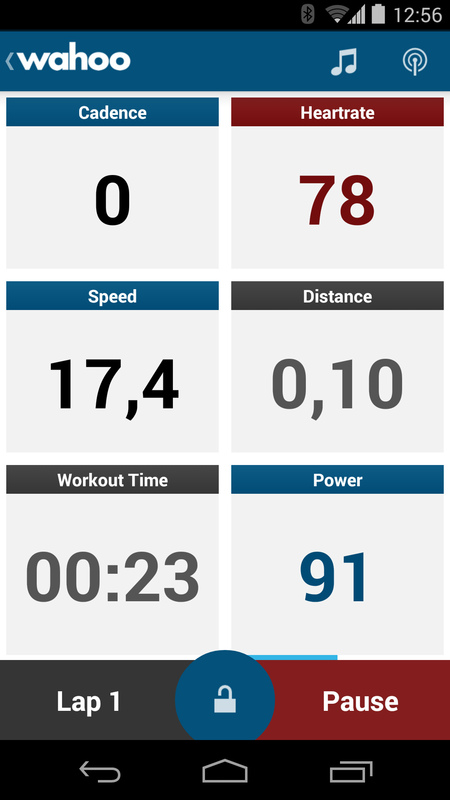 Thus the training data remains comparable to previous and following KICKR trainings. Hint: for a particularly even resistance we recommend a big gear (i. e. 53-15). Furthermore, the KICKR's brakes will be noticeably relieved, the system will heat up less and the drift turns out significantly lower. We did the same test with smaller gears (i. e. 39-21) and the KICKR's internal temperature had been raised for an average 10° C after only 15 minutes. To check and prove our final test result we did a few more trainings with the P2M Type S - with nearly the same result considering precision and drift, just as we had expected. In a direct comparison with the SRM, the P2M displayed a tad less, but the very same phenomenon occurs on the Cyclus2. 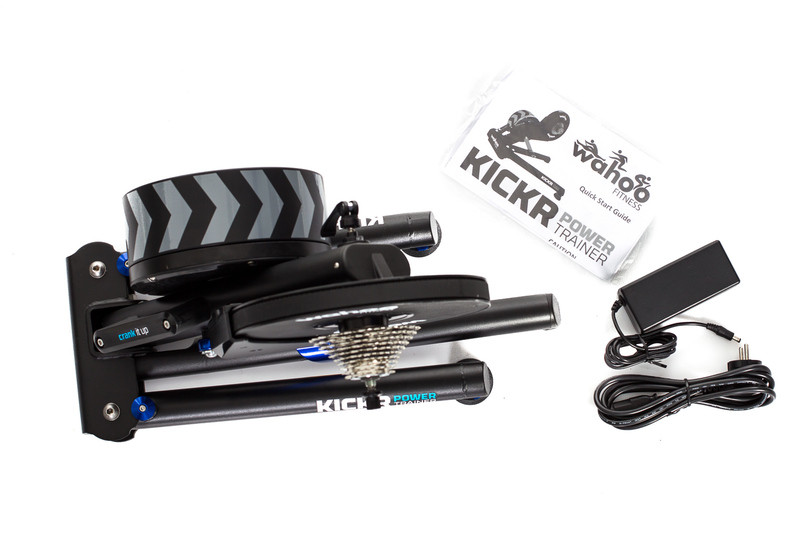 Initially considered for manufacturers or the local service center, it is possible to order the Wahoo KICKR Calibration Kit for 99.99 USD. Included in delivery: a precise calibration weight, a metal calibration lever and access to download the software (only compatible with Apple iOS and a device capable of Bluetooth 4.0). 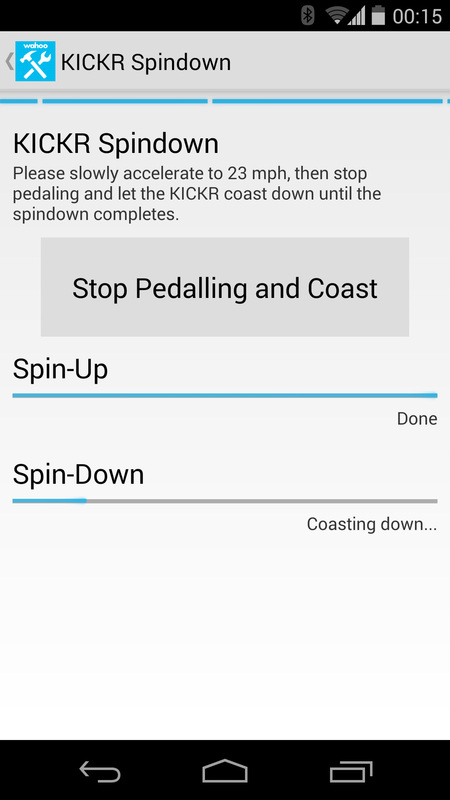 In only a few steps the factory settings can be overruled, and the KICKR's watt precision can be calibrated anew. Out of interest we ordered the calibration kit from overseas and performed a hardware calibration preceding the aforementioned tests. In direct comparison to the preceding interval tests, the calibration didn't produce any major changes - still the offset could be reduced to 5 watts (from approx. 20 to 15 watt). 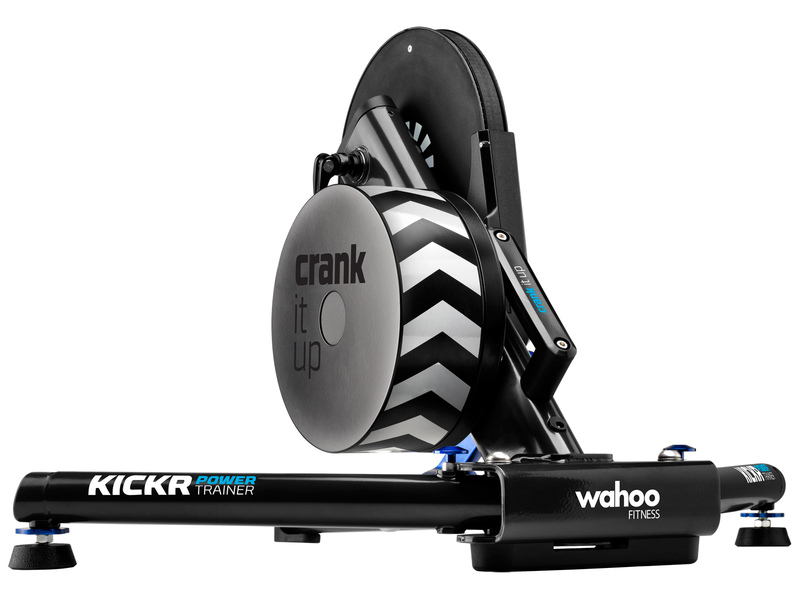 BB rating: The Wahoo KICKR takes indoor training to the next level. 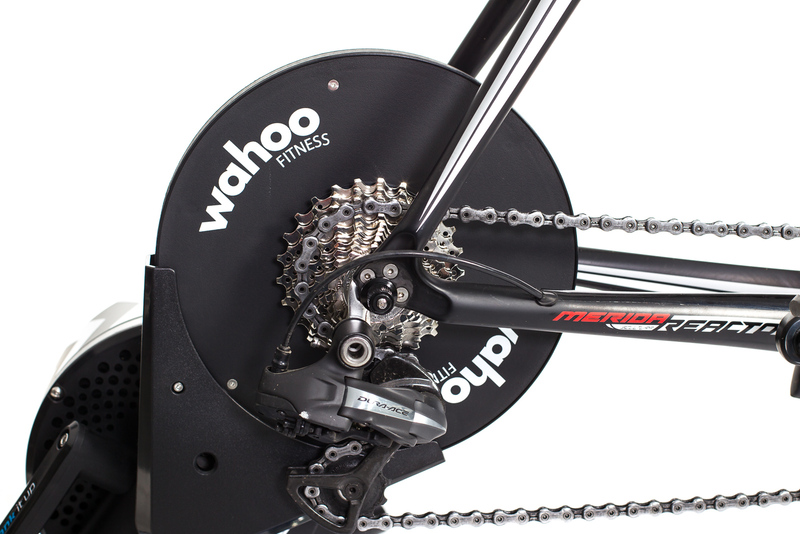 Thanks to its heavyweight flywheel mass (total weight trainer + bicycle = approx. 30 kg) and the powerful brake the trainer grants a very realistic ride. Since the chainstay is fastened directly to the cog set there won't be any slippage even during highest acceleration. Furthermore the sturdy, high quality console has a solid stand on the ground and its rough rubber feet prevent it from moving around. 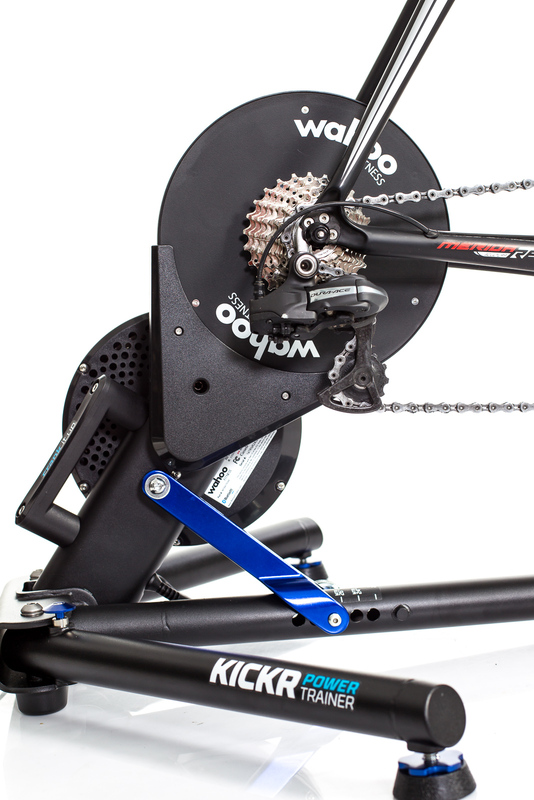 Volume-wise, the low-vibration power trainer is slightly above average - the volume only increases a little if you go past 100 cycles per second. DB measurement performed with the DC Rainmaker confirm this - it's not only the watt resistance but mostly the engaged gear which determines the noise level. Being watt powered and with a high resistance (max. 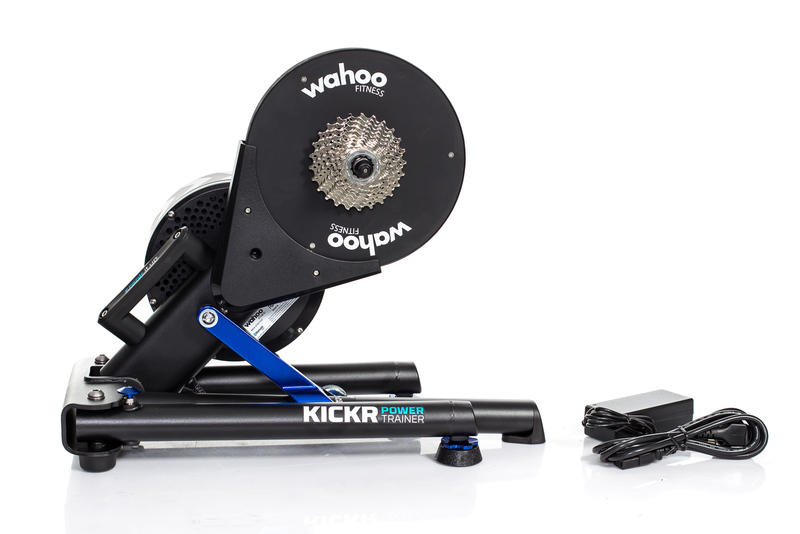 2000 watt) the KICKR is suitable for specific continuous power training, VO2Max training and sprint training. Even if the watt precision lags somewhat behind that of the considerably pricier pro-ergometers by RBM (Cyclus2) and SRM and is subject to a measurable temperature drift, you can still train remarkably well with it. The KICKRs greatest strength is the perfect ride.